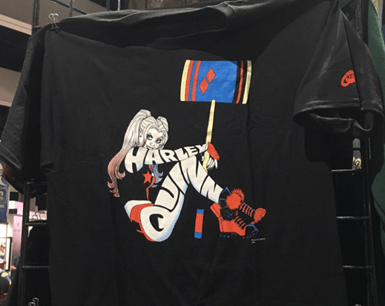 SDCC 2017: Top 5 nerdy t-shirts – AiPT! We all have a drawer of nerdy T-shirts but who doesn’t have room for one more? As I traversed the exhibition hall of Comic-Con International: San Diego, I saw a lot of shirts. Here are my top five! These are my own titles for the shirts and not the official design names. This is one cool tee. 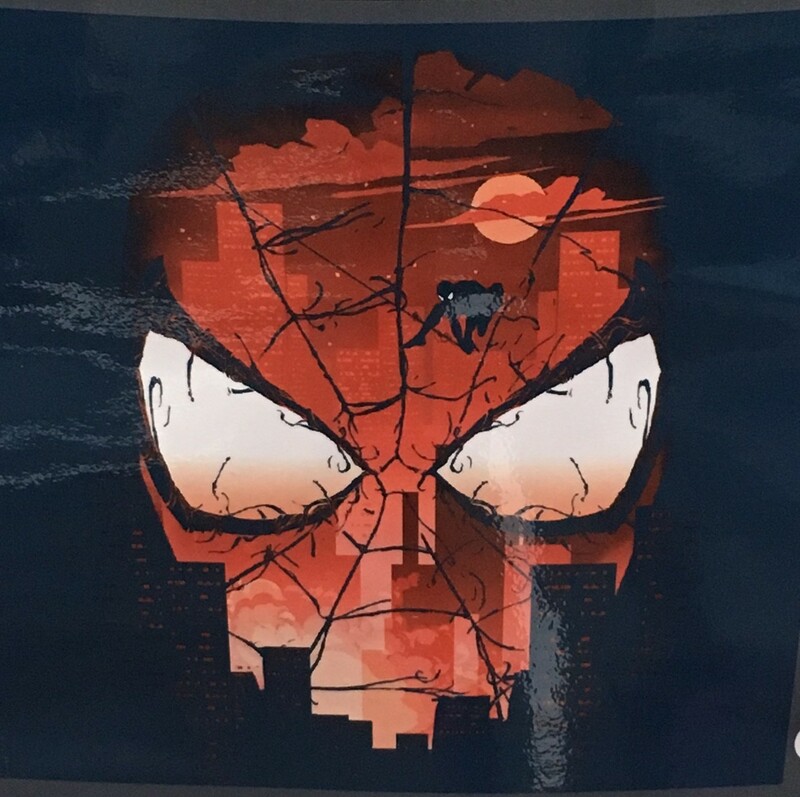 I like the use of the buildings to outline the contours of Spider-Man’s face and to add depth to the image. The webbing is frayed, not stylized, giving the appearance of an actual web. The small shadowed Spidey is a nice touch swinging through the city. Remember Jonesy? He was Ripley’s orange cat in the 1979 Alien film. 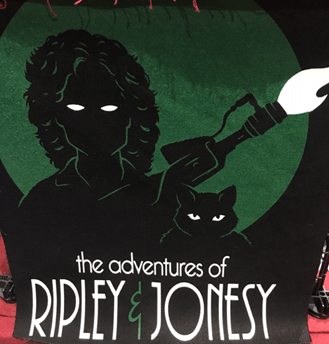 Well it appears he has nine lives and has teamed up with Ripley for some more badass adventures. The green and white design creates a striking contrast against the black shirt. You are drawn to their piercing eyes and flame thrower. I thought this was a really cool take on a Haley Quinn shirt. It is a great play on Harley’s tattoos using lettering to create her limbs. The negative space gives her a tattooed appearance. I wish I could have captured a better shot of this shirt. It’s just plain ridiculous and that is why I love it. The pug taco, burrito and soda cup just make me laugh. 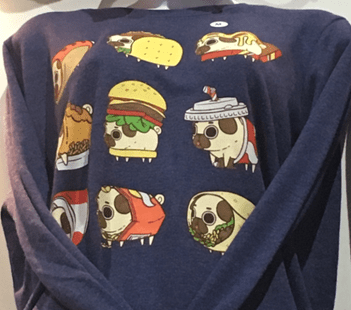 This cute pug compilation made me smile after a long day on the con floor.